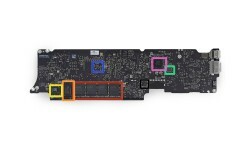 We specialize in component level repair on logic boards. Our engineers use the latest tools and high quality components to yield a high success rate of repair. Repair power, video, heat, sound and sleep problems. Can also repair issues due to a liquid spill.